To celebrate Ouisie’s second birthday, my husband baked a favourite gouté from his childhood to take to her French playgroup. These sweet little sponge cakes are quick and easy to make and kids (and adults) L♥VE them! The one thing you need to guarantee a successful batch is a Madeleine tray. They come in a variety of styles and prices. Cyrille prefers working with silicone trays for even baking. Madeleine trays can be found in many culinary stores like Sur la Table or Williams Sonoma. Heat butter on medium heat in pan until bubbling and melting. 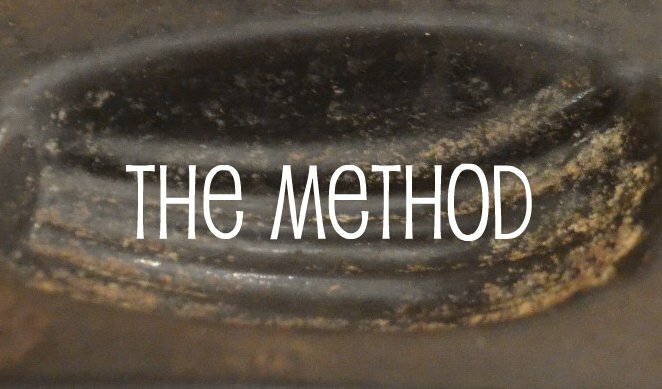 When the butter begins to look golden in colour, remove from pan and transfer into a mixing bowl. Allow butter to cool down. Sift flour and icing sugar into separate bowl. 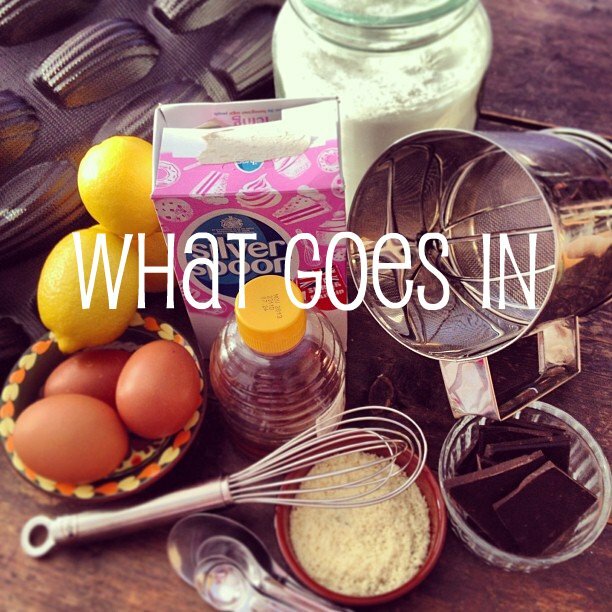 Whisk egg whites until they begin to foam and then mix into sifted flour and icing sugar. Fill Madeleine moulds until level. Pre heat oven to 190 degrees (gas mark 5). Bake 12-15 minutes or until Madeleines are golden on top and have a sponge-like texture to the touch. Rest for a minute, but ensure Madeleines are removed from mould before completely cooled to avoid sticking to tray. ** If you wish to bake various flavours, separate the above batter into individual bowls. On their own, the above recipe yields a honey flavoured treat. 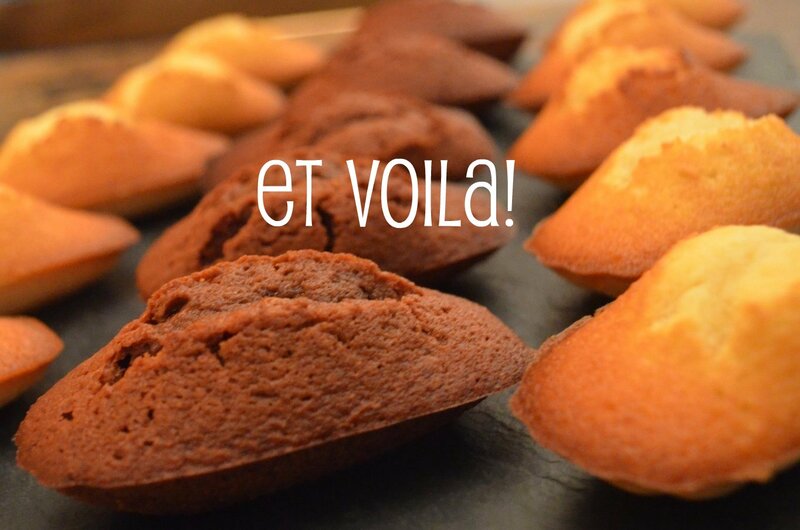 ChocolateMadeleines: Mix in 150 grams of quality dark chocolate (gently melted using a double boiler). Lemon Madeleines: Mix in the zest of two lemons and their own juice. 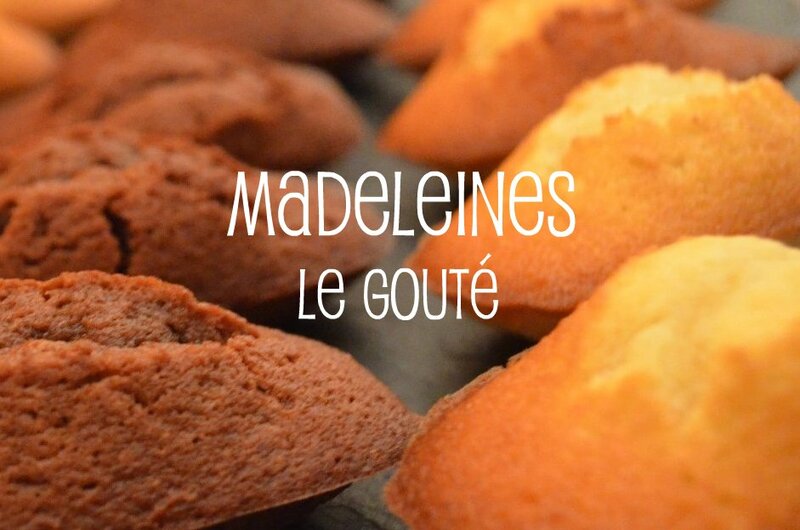 Madeleines may be served warm from oven or delicious at room temperature. Store in air tight container to maintain freshness. Best enjoyed with a cup of milk (for kids)… or tea/coffee (for adults). YUM, YUM! You should send this to some foodie magazines and, perhaps, to Sur la Table and Williams Sonoma. I LOVE lemon Madeleines especially! Merci maman! Ouisie and I enjoyed some for snack time today! Yum!